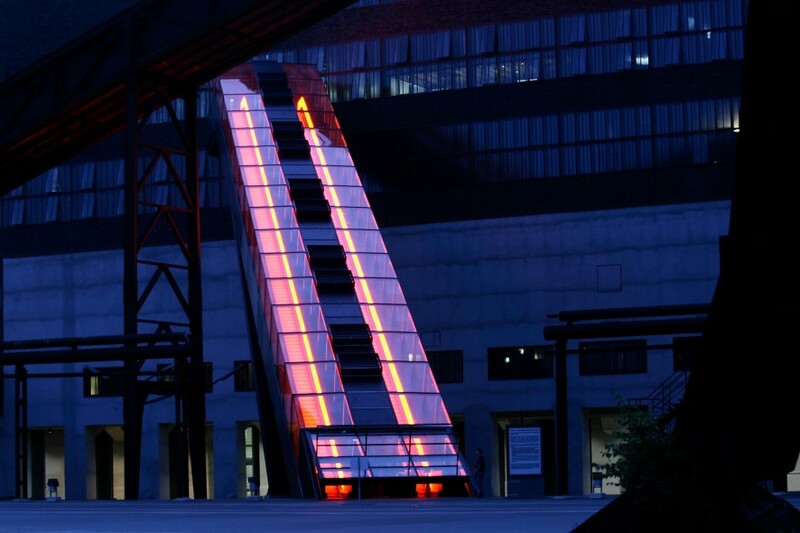 Indoors or outdoors, summer or winter, no job is too tough for our Victoria escalator, no matter how much traffic you need it to handle. Rugged, high-quality components consistently deliver an unmatched performance and ride quality. 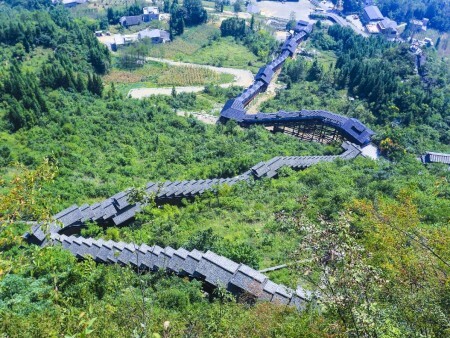 Victoria can climb 75 metres, travelling deeper or higher than today’s standard escalators. 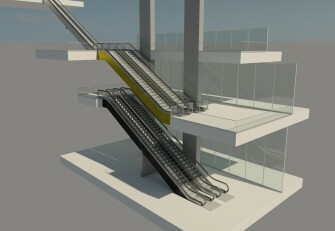 High-traffic areas require powerful mobility solutions – solutions like Victoria, our most rugged escalator. It rises to the challenge of your most demanding project, whether indoors or outdoors, consistently delivering a stellar performance around the clock. From its impressive travel heights, transition radii and many other safety- and comfort-enhancing features, Victoria never lets you down. Victoria excels in the most challenging modern urban environments. 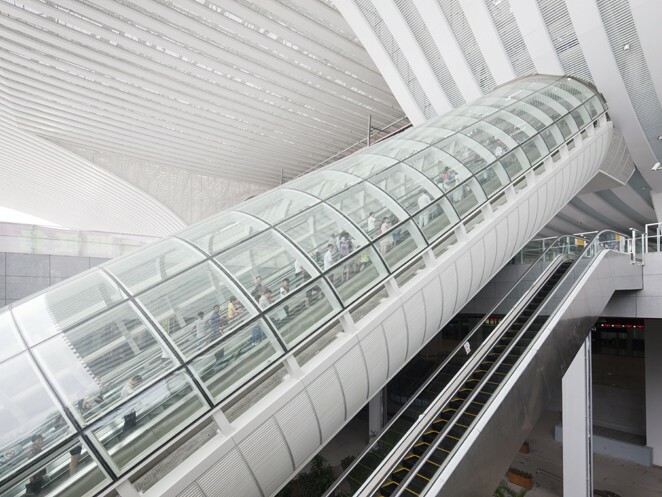 With an impressive maximum travel height of 75 metres, Victoria safely and easily transports people to the deepest metro stations and highest atriums or platforms. Victoria’s approximately 101-millimetre chain pitch minimises the polygon effect and ensures the smoothest ride quality. Its powerful step chain rollers can be replaced individually, reducing both your maintenance and costs. 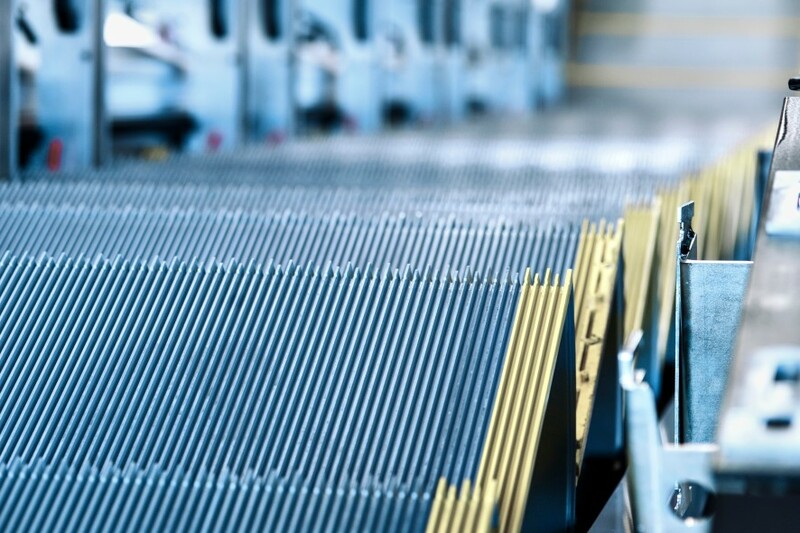 Victoria’s heavy-duty components, including its skirts, decking and handrail tracks, are made of stainless steel. 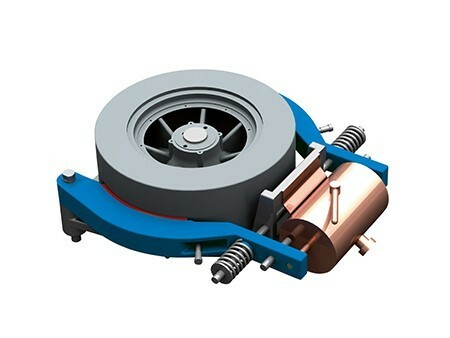 This enables Victoria to easily handle heavy loads in any climate. 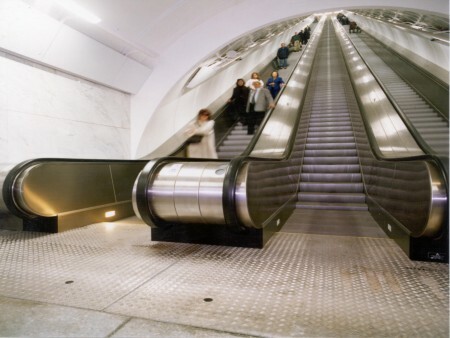 Heavy-duty environments and high rises stress an escalator’s handrail. 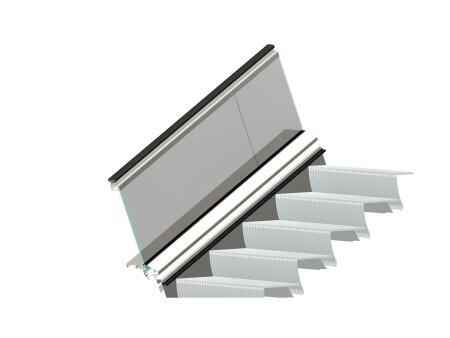 Positioning Victoria’s handrail drive in the newel, combined with its wedge-shaped handrail, improves both the grip and efficiency as well as increases the component’s lifespan. Victoria is designed to be the toughest kid on the block. 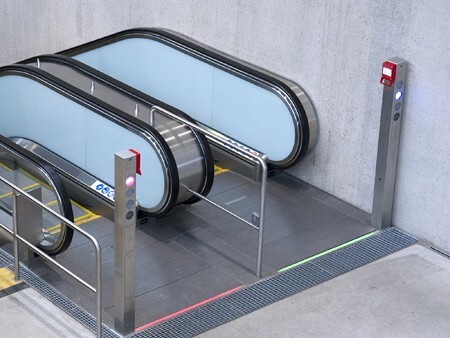 At the same time, a wide range of customisable design options, including diverse outer claddings and handrail drive positions such as in the newel, ensure that your heavy-duty escalator is a great-looking one as well. 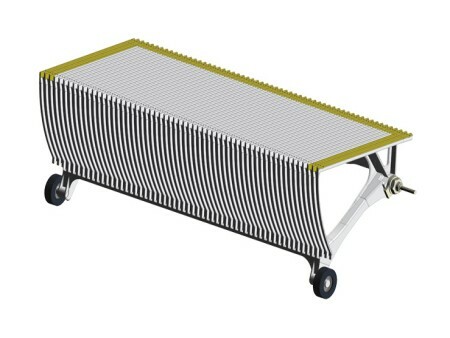 Victoria’s stainless steel front skirt stands up to the impact of trolleys and carts. A unique handrail inlet, with its two-way flap system, gives the skirt a streamlined look. It also eliminates the need for unsightly rubbers and brushes as well as improves availability thanks to its kick-resistant safety contact. This 10-millimetre tempered safety glass balustrade comes with a robust decking profile attached to the top of the glass panes. Available in several glass colours, it’s a perfect fit for an open design concept. This angle-fitted closed balustrade is made from bevelled steel plates. 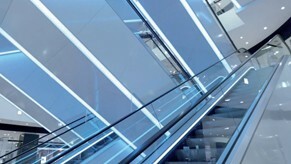 Available in different finishes and colours, the sturdy-looking balustrade is well suited to industrial urban designs. 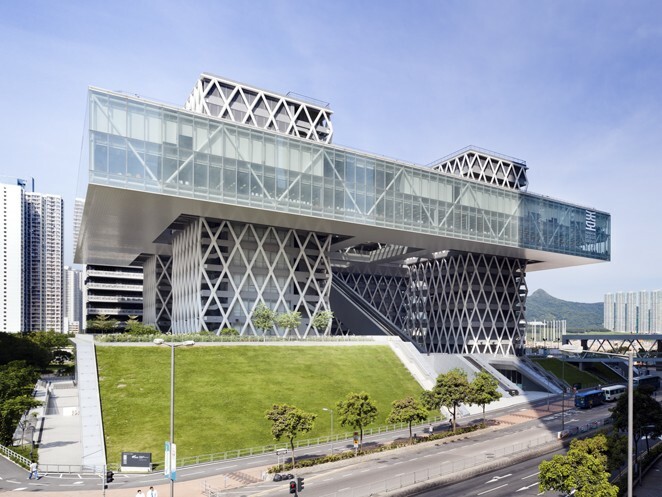 Featuring a sandwich construction with a stainless steel cover, this sleek, vandal-resistant balustrade is ideal for modern traffic applications. 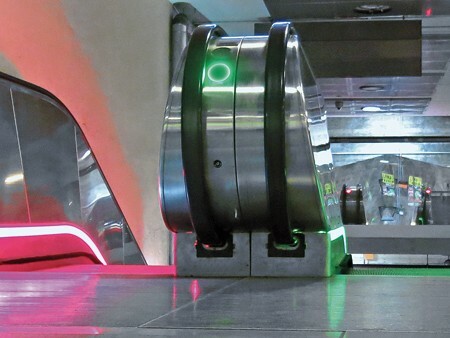 In traffic applications, lighting is key for guiding passengers, increasing their safety and optimising your infrastructure’s capacity. 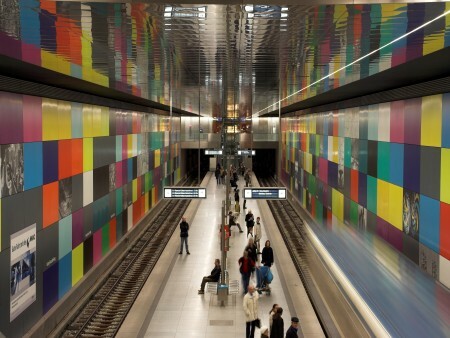 An important consideration in modern architecture, lighting also influences our mood and enhances urban environments. 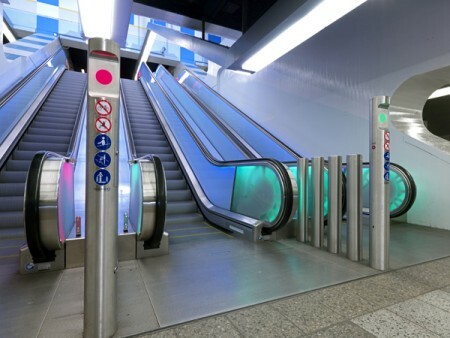 Blue or green step gap lighting, along with comb plate lights at the entrance and exit, ensures passenger safety and adds to your escalator’s visual appeal. 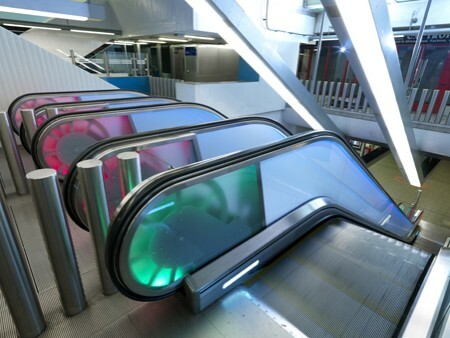 LEDs in light-diffusing channels, the full range of RGB colours and different modes of operation create stunning effects above the skirt band or under the handrail. Truss lighting in the full range of RGB colours and different modes of operation let you showcase Victoria’s structural sophistication. 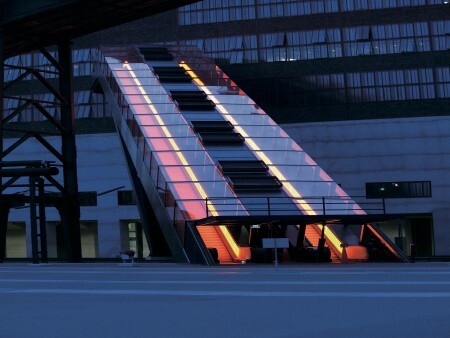 Spots, light strips or fully illuminated claddings light up the area below the escalator and accentuate your entire building. 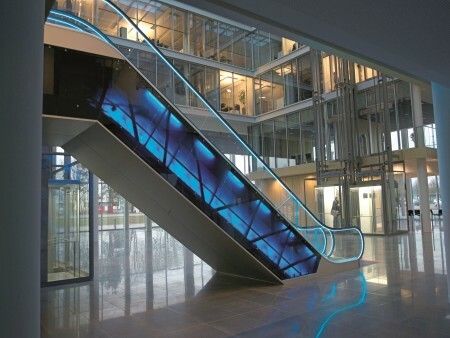 You can also integrate patterns to put a unique finishing touch on your building’s lighting concept. In crowded traffic applications, a traffic light column improves visibility even from far away and helps ensure the smooth flow of people. This eye-catching, self-adjusting, robust floor plate light improves visibility, especially for people with impaired vision. 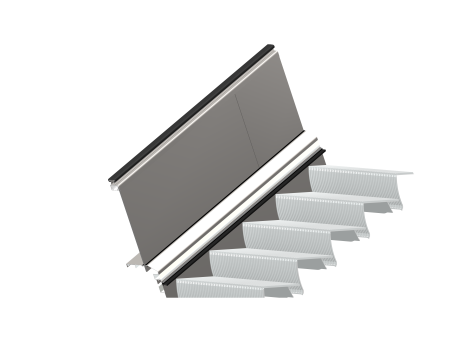 On the Robust balustrade, the standard traffic light is located in the inner decking for enhanced visibility. Or you can choose an eye-catching lighting option that illuminates the newel, highlighting the elegant handrail drive. 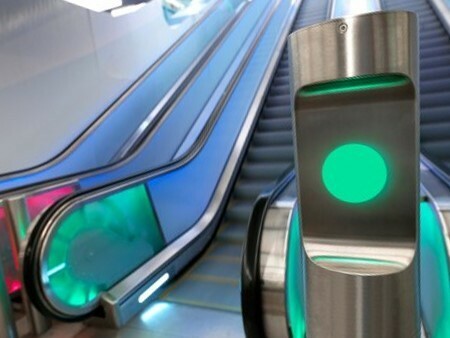 On the Metal balustrade, the standard traffic light is integrated into the newel for optimal visibility from every angle. No extra traffic light column is needed. Choose from a broad selection of additional features or work with our experts to make your unique vision a reality. 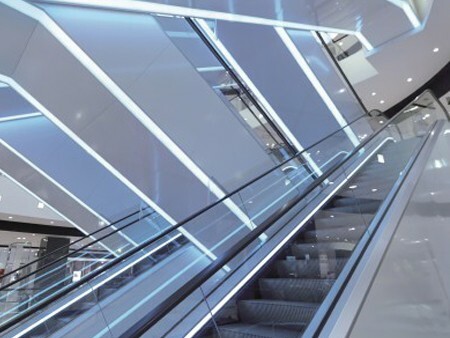 From powder coated and stainless steel to different kinds of glass and other claddings, we make sure you get what you want. 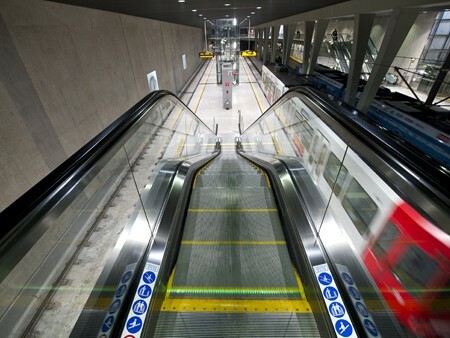 Whether you prefer rubber or synthetic materials, you’ll find the perfect handrail in a wide range of RAL colours. 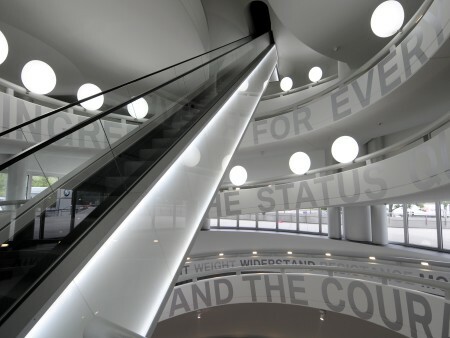 We’ll even help you brand your handrail. 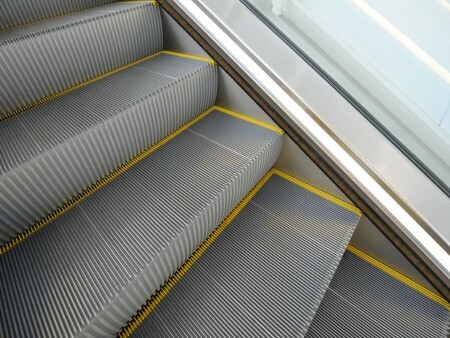 As standard options, you can choose between black or silver steps with or without yellow demarcation lines. 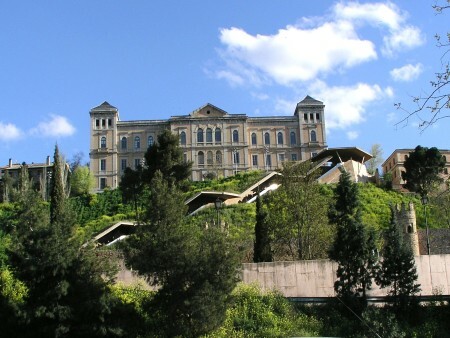 If you want something more extravagant, we’ll make sure you get that too. A variety of patterns and colours for combs and cover plates, in combination with accentuating comb segments, enhance passenger safety while ensuring a distinctive look. Victoria’s powerful performance is the result of meticulous engineering, select features and refined components. Carefully crafted and manufactured using our advanced production systems, Victoria delivers both an amazing product experience and a sustainable return on your investment. 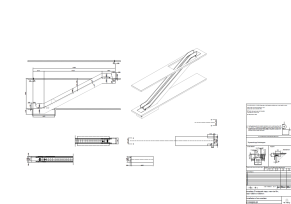 Victoria’s handrail drive can be located in the newel outside of the supporting structure, an indispensable option for higher heights that offers multiple benefits. 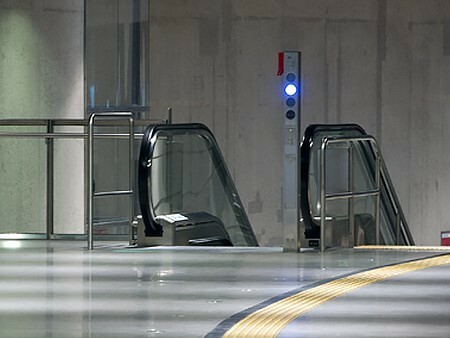 The handrail drive is readily accessed for maintenance without needing to remove any steps. As a result, the chain is easily adjusted through a sprocket and the handrail is tensioned via a compression spring. 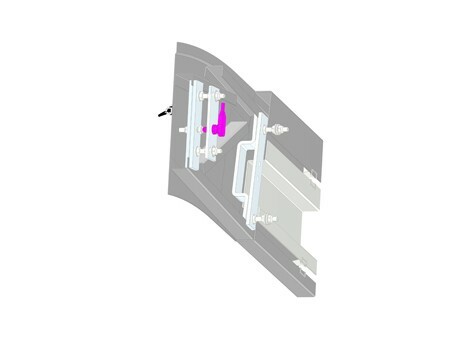 Having the handrail drive in the newel reduces handrail bending, thanks to the large guiding radii, and increases the component’s life expectancy. 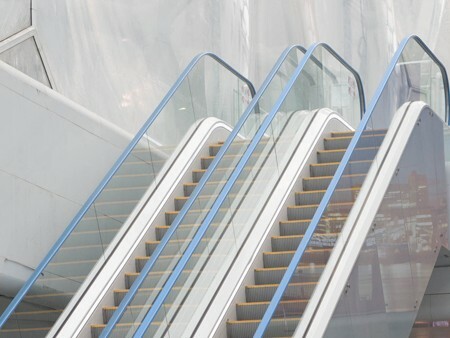 When the handrail reaches its end of life, it’s rapidly replaced within the balustrade using a lock, ensuring minimal downtime. 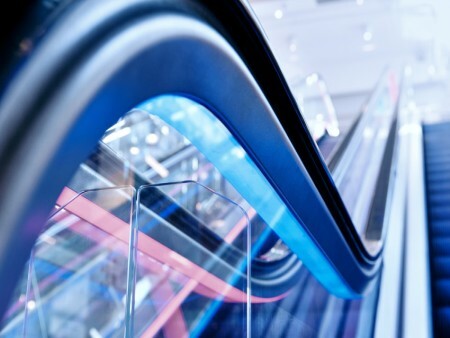 The high-precision rolled flat link hardened chains are specifically manufactured for our escalators and come with different breaking loads to ensure stability under any condition. 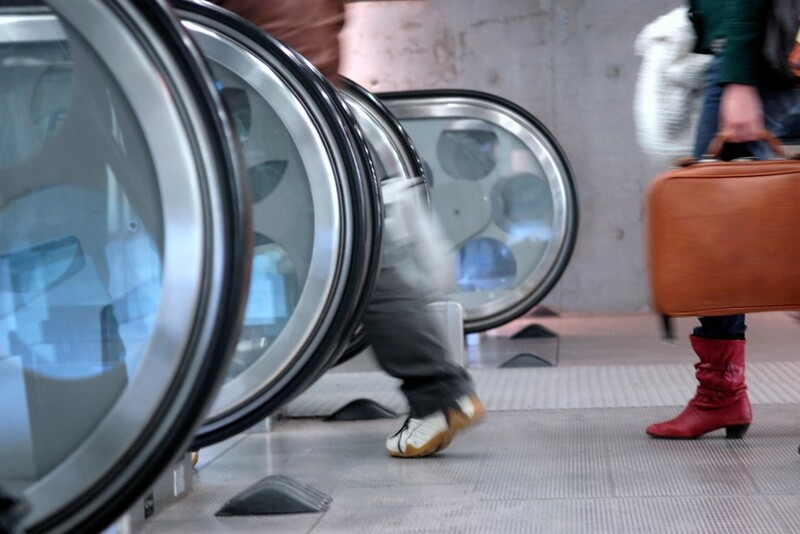 Victoria’s approximately 101-millimetre small chain pitch enables the chain to slide smoothly on our best-in-class track system, minimising the polygon effect for the best possible ride quality. Locating the step chain rollers outside of the step chain means that the traction is more evenly distributed and the lifespan of each roller significantly increased. 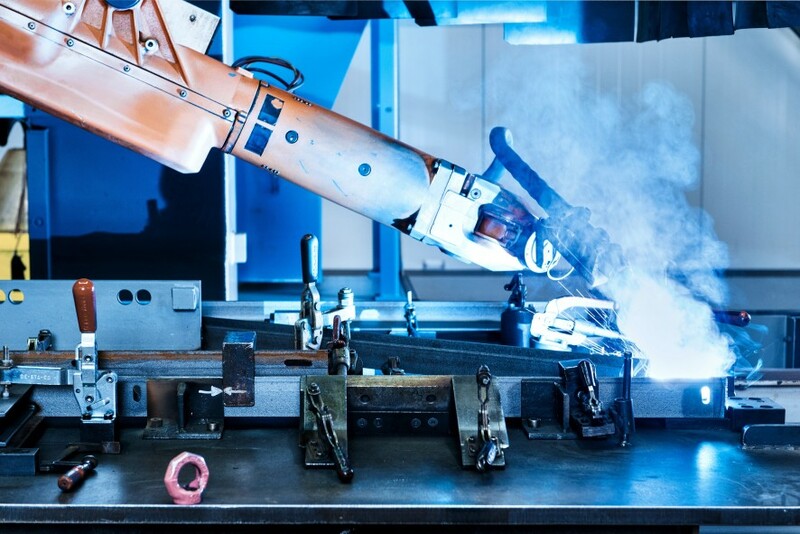 In the unlikely event that a roller needs to be changed, each roller can be replaced individually without opening the chain, keeping any downtime to a minimum. 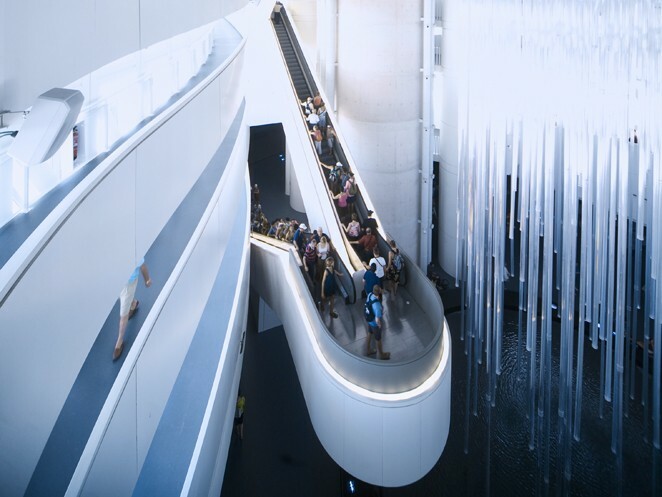 We strive to continuously improve our escalators’ performance and sustainability. This includes increasing our operational efficiency while reducing the resources and materials we use as well as the waste we produce. Based on the ISO 25745-3 standard and depending on your final configuration, Victoria delivers the highest energy efficiency. 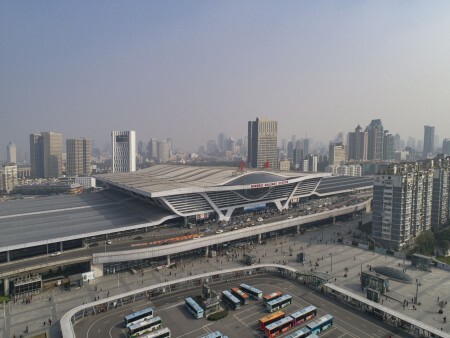 Victoria’s LED lighting cuts energy consumption by up to 90%. 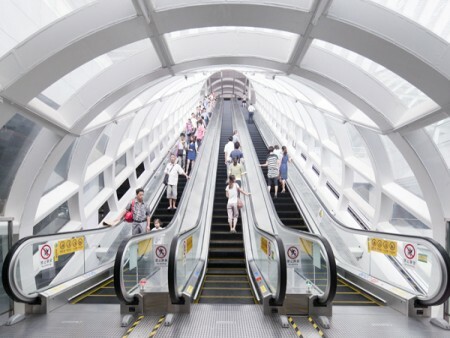 You can further reduce the escalator’s CO2 footprint by opting for different operating modes like intermittent operation or for energy-efficiency features like Smart VVVF. Our state-of-the-art premium efficiency motors reduce power consumption, have longer lifespans and minimise maintenance. With its pre-oiled gearbox, our chainless spur gear drive option is quiet and durable as well as eliminates any chain-related maintenance. Since Victoria operates in the most demanding environments, it leaves no stone unturned when it comes to safety. A proven product design, best-in-class components and more than 50 safety features and options keep your passengers safe at all times.